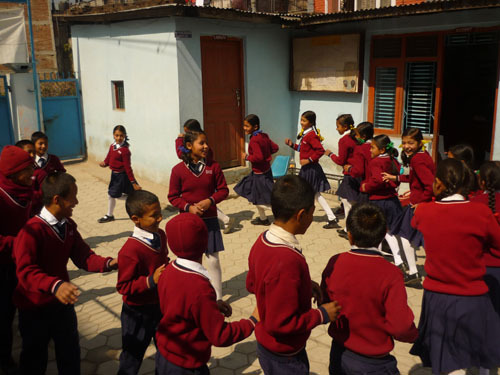 Teaching English to the children in Nepal is at times challenging, but seeing their progression and enthusiasm make the overall experience extremely satisfying. The volunteers will get the opportunity to teach students who are eager to improve their conversational English skills. Volunteers in this program will teach English to children in government schools; you can also teach in other disciplines such as math, science, music, geography, art, dance, etc. Depending on your specific area of expertise. The students that you will be teaching range from 5-16 years old, and are typical in groups of around 30-50 students per class. The subject material that you will be teaching i.e. the curriculum for the key subjects will be taken from the Nepali students' standard book. However volunteers are also encouraged to create their own lesson plans; lots of inspiration for classes can be found online as well. 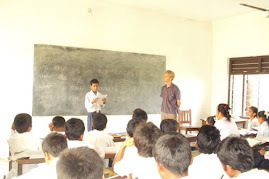 Each institution has its own permanent staff member who assists volunteers with their teaching and in communicating with the children and colleagues. Classes generally run six days a week, with four to six class periods each day and a break for lunch. Teaching English includes: Teaching English at the school, Orphanage, women's group and village community library. 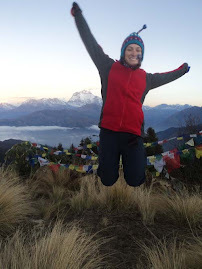 Home stays and cultural exchange programs is a fantastic way to get more out of a trip to Nepal and can be arranged in most areas of Nepal with our 30 Host families. 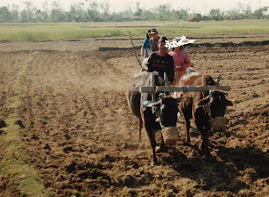 Participants will be placed with a Nepali family in a small rural village for the duration of their stay. 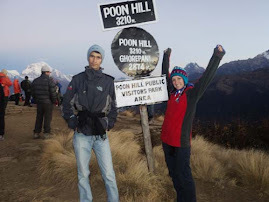 This provides the volunteers with an excellent opportunity to immerse yourself in the depth of all aspects of Nepali culture, lifestyle, language, food and people. Volunteers should remember that this is a cultural exchange and that an effort to offer some knowledge of their own home culture and customs to the family with whom they stay is appreciated. The best time to come is between August and December, the time when most large local festivals take place resulting in an overall more exciting experience. During their stay, volunteers will attend 2 hours of language lessons in the morning and in the afternoon. They will also have the opportunity to visit and help out at the local school. Home stay programs are best organized from August to December which is the time when most large local festivals take place. This makes for an overall more exciting experience for the volunteer. Nepali culture is distinctively friendly and open and participants are made to feel as though they are part of the family. 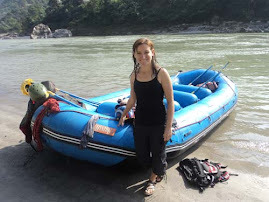 Inside-Nepal local co-coordinator will be on hand to help volunteers. Volunteers will teach environmental awareness at the local school and/or Environmental Post for 2 to 4 hours each day, Sunday to Friday. Environmental awareness projects will be defined by the individual volunteers based-upon their areas of expertise and the needs of the village community. Example projects include: creating "green" clubs, planting a flower garden, planting trees, garbage management, recycling programs, making a smokeless stove, building a toilet pit, etc. Volunteers may also provide assistance to youth clubs or women's groups in the community sharing their ideas, skills and knowledge about environmental issues. After completing the Nepali language and cultural training, volunteers will be placed with a Nepali family in one of the program villages. The host family will live no more than a half hour from the school/Environmental Post Inside-Nepal local co-ordinator will be helping to volunteers. Working toward women's empowerment enables you to support women in their pursuit for healthy and sustainable livelihoods. Women's groups provide a forum for issues such as family health, women's rights, and access to resources, income generation, and other challenges women face in their daily lives. Volunteers have the opportunity to exchange ideas, collaborate in ongoing projects, teach basic English skills, help with small businesses, and be a positive role model. 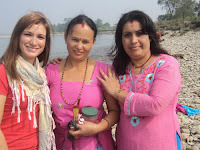 You can also provide support in many other ways, depending on your skills and interests and the needs of the local community.So, Inside-Nepal invites all interested national and international volunteers to be a part of our women development programs. Your small effort can make a big difference to the women in the most marginalized communities. In this project you will be educating Buddhist monks in the age range of approximately 5-16 years old. In The monastery at any given time there around 30 to 40 monks, of which there will be 2 classes, one for seniors and one for junior students. 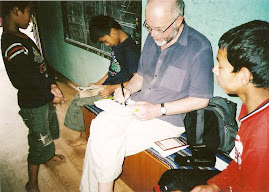 Inside-Nepal will provide you with a guide to planning lessons for the students but it encouraged that you compose your own lessons and games for the students to keep them stimulated. This program is especially for Doctors, nurses, nursing students and medical students. 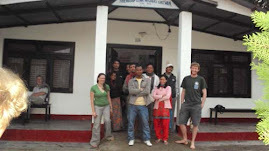 Volunteers will work at hospitals and community health clinics in Kathmandu, Chitwan or Pokhara. Volunteer will be helping doctor or health assistance at the clinic performing tasks like dressing wounds, administering shots, drawing blood, holding babies while they are being treated, helping to screen and organize patients. They can also assist local staff with getting medicines/supplies, and generally helping out in whatever capacity you might be needed. This program offers you a wonderful chance to support the work of local doctors and nurses in a country where health care is a major issue, and the number of trained staff in rural areas is low. As such your presence could make a huge difference to a community. For orphaned children one of the most beneficial things for them is to be able to have access to Education. As it will provide more opportunities for them in the future once they have to make their own way in the world. Resources are often scarce so if they have access to a teacher it will be a great advantage to them. Depending on your own expertise and interests, though, you can also teach drawing, songs, music, dance, cooking, or any number of activities, and generally just spend quality time with the children. 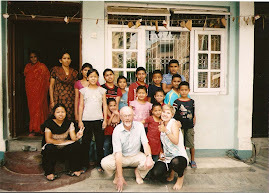 Some orphanages can provide accommodation for volunteers; alternatively you can stay with a local host family and work at the orphanage during the day/evening. Your duties will include many things, basically taking care of the needs of the children, teaching them, helping with cooking, getting them ready for school. Consequently it is can be challenging but also one of the most rewarding experiences you can have, as you are improving the lives of the children. Your day will consist of teaching for a few hours in the morning and in the evening, and in the afternoon looking after the general wellbeing of the children. Alternatively in the afternoon you can go to the local school and teach there instead of staying at the orphanage. Most orphanages also welcome assistance from Volunteers for the organizations themselves. This involves working with staff to develop marketing, fundraising, and program strategies for the orphanage. Working at the orphanage home includes: Helping children for their school work, encouraging the children, teaching them English language and other discipline. 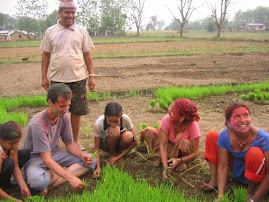 As a volunteer with Organic Farming and Permaculture Program, you will gain hands-on experience helping the farmers, students and local communities to cultivate and harvest organic crops, vegetables, fruits, herbs through sustainable farming methods. 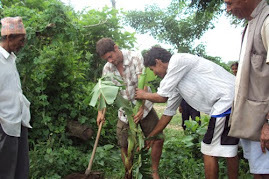 If you are new to organic farming and permaculture, then you can learn from the host and local farmers. We have several vibrant farms where a variety of vegetables, crops, fruits and herbs now thrive within the Kathmandu Valley, Chitwan and Pokhara. 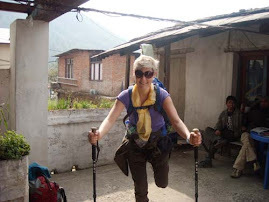 Upon your arrival to Kathmandu you will be staying at hotel near about 3-4 days for training. In your tranning period you will be provided with basic Nepali language class, cultural information, family information, personal safety information (how to adjust into Nepali people) 2 hour every day. 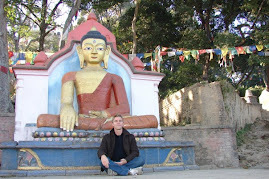 During your tranning period you will be visited Kathmandu Valley (some sightseeing) 2 hours every day. 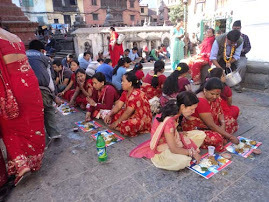 Volunteers are concerned to place in Typically Nepalese family where they are offered Nepali food main meals Dal/ Bhat (Rice, lentil soup and vegetable curry) twice a day. Tea is served two times a day. Usually organization projects like school, local organization, club, women groups and Health post are at easy distance away from the host families and the volunteers will have to work 3-4 hours a day Sunday to Friday. Generally projects starts at 10am and over 2pm. Saturday is weekend day. On that day the volunteers can get together and share their experiences. They can travel to nearby towns to purchase things for daily use and other areas. Kathmandu/Lalitpur :- In the suburb and rural parts. Bhaktapur:- In the suburb and rural parts. Kaski:- It is the naturally gifted part of western Nepal. 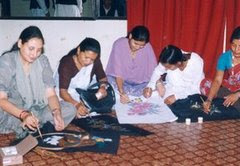 Chitwan:- Programs run any parts of the district. It is situated about 160 Kms. to the south of Kathmandu. Gorkha :- This is one of the historical and religious places of western Nepal The following amount will be charged to the volunteers to maintain the under mentioned programs. Nuwakot: It is one of the historical and rich natural district. It is nearer from Kathmandu. Dhaading: It is hilly region nearest from Kathmandu. 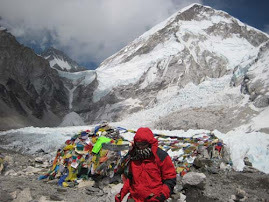 Inside Nepal is a non-profit making non-government social organization whose objectives are to provide modern education, income generating training to poor families, environment, health and village tourism development in most part of Nepal. 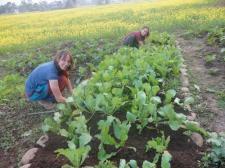 Please contact at inside.nepal1@gmail.com for information fees for placements longer than 5 months. Program fees can be paid on arrival at Inside Nepal office in Kathmandu. If you would like to pay the fee beforehand, we will email you bank details. Your flights, Visa, Shots travel insurance and corresponding airport departure taxes. Also you will need a weekly budget 10 - 20 US$ to cater for all your other expenses like bottled water, personal items, beverages and entertainment. Living in a village is relatively inexpensive in comparison to most western countries and usually it is difficult to spend more than US$ 10 per week during your placement. For the final confirmation we need to receive your flight arrival information. The program fee can be paid on your arrival at the Inside-Nepal office. Volunteer Application You must be at least 18 years old to apply. Why do you want to Join with Inside-Nepal ? What type of service do you wish to do? 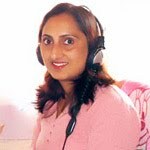 Any special conditions regarding your service that Inside-Nepal should be aware of?